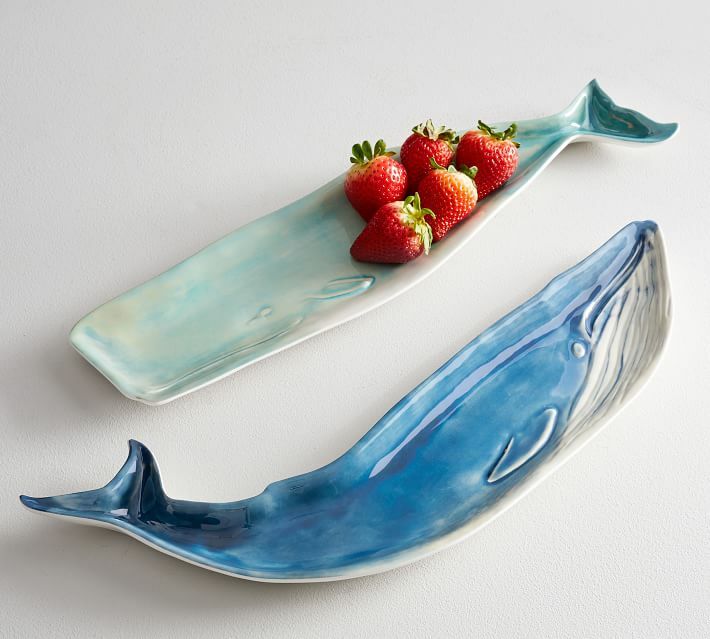 Based on a ceramic design by a local artist, this Whale Melamine Serving Platter has the artisanal look of the original, except it’s made of ultra-durable melamine, a break- and scratch-resistant material that also happens to be dishwasher-safe. Its elongated form and exquisite colors make it a showstopping way to serve appetizers or a seafood main course at your next outdoor party. $19.50. Buy here. 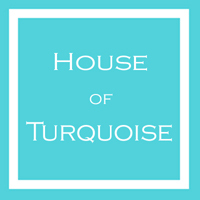 This wear-everywhere Turquoise Ribbed Cutout Top packs an ultra-stylish punch. Tunic sweater features boat neckline and cutout at back. $68 Clearance $19.86. Buy here. 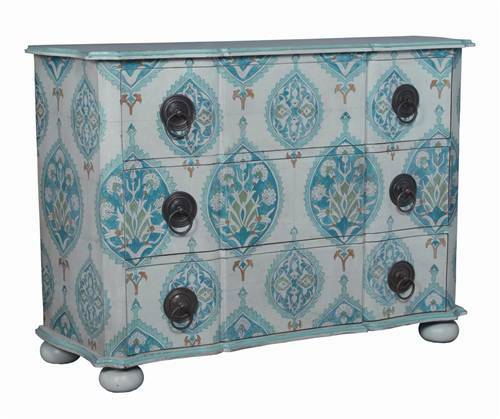 Hand-painted blue floral cartouche patterned paper is mounted to this solid wood Dutchess Chest by Guildmaster. Ring pulls with decorative back plates add the finishing touch. 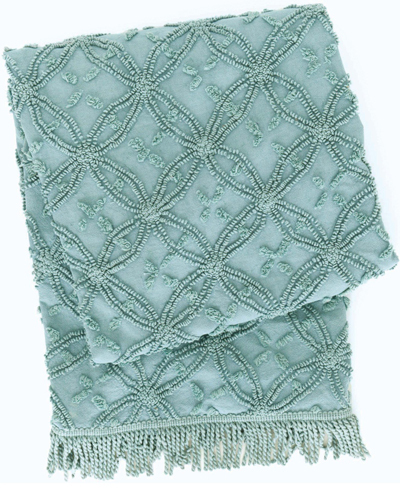 Try placing this in a bedroom painted robin’s egg blue for a relaxing coastal feel. $2,198. Free shipping. Buy here. 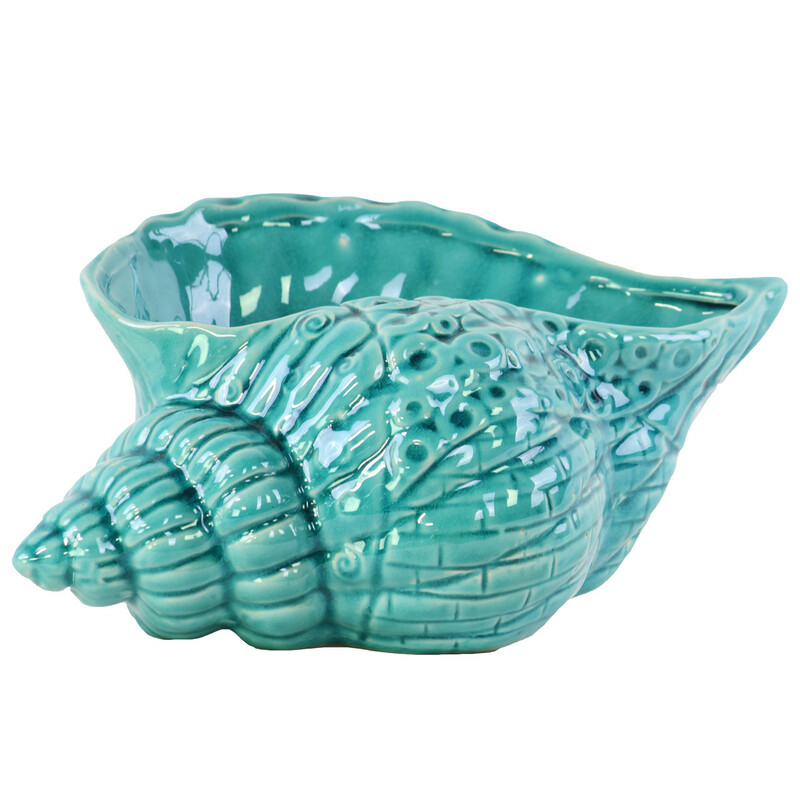 This Turquoise Conch Seashell Figurine is a great addition to any seaside-inspired space. Made of ceramic. 4.5″ H x 12.25″ W x 8.75″ D. $59.99. Free shipping. Buy here. The Nanaâ€™s Attic collection showcases linens with a charming combination of vintage sensibility and contemporary style to create a beautifully dressed bed. Crafted using an old-fashioned stitching technique, the Candlewick Mineral Throw Blanket brings rich texture in a soothing color to a space. 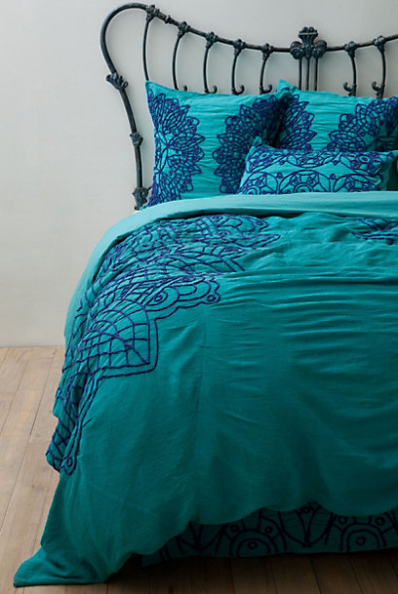 Its floral stitched pattern and lovely fringed edging dress up a bed, sofa or chair with classic style. Made from 100% cotton. Machine wash cold, gentle cycle and tumble dry low. 50″ x 70″. $134. Free shipping. Buy here. Stack your book collection between these Jonathan Adler Ampersand Metal Bookends and add a punch of playfulness on any bookshelf or desk. Set of 2. Measures 6.25â€ x 6â€. $12.95. Buy here. 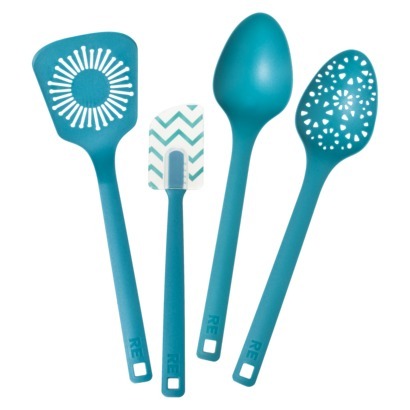 Make a style statement in your kitchen with the Room Essentials Teal Utensil Pack. The handy set includes: Spatula, Spoon, Slotted Spoon, Slotted Turner. Dishwasher-safe. $11.99 Clearance $5.98. Buy here. The Solea Bedding features comfy cotton voile that is the canvas for a three- dimensional twisted-rope applique that lends a nautical feel to your space year round. $68-$388. Buy here. 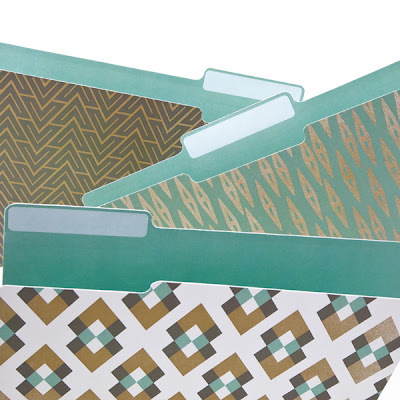 Filing may be tedious, but with Gold Geometry Work Inspired File Folders it will never be boring. Inside each folder is a motivating quote to inspire you in life and work. Quotes like “Deserve your dream,” from Octavio Paz can make a difference in your work day. $8.50. Buy here. Be back soon….I’m getting married!